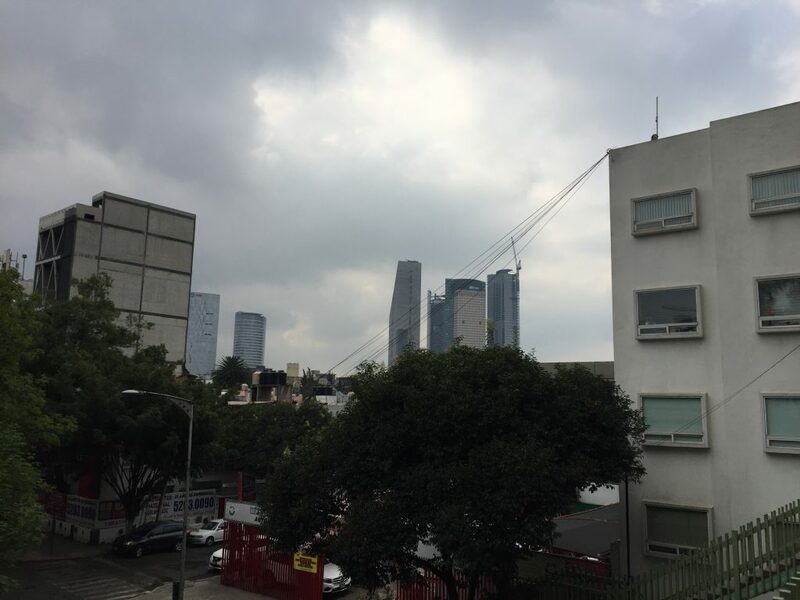 We visited Mexico City from January 12 to January 25, 2019. These are notes intended for Canadians thinking about visiting Mexico City. For direct flights from Toronto, you have three options: Air Canada Rouge, Interjet, and Aeromexico (code share with WestJet). I booked with Air Canada Rouge. Your experience will be, in part, a function of the aircraft you fly in. The morning flight from Toronto this quarter was in a 767, with a 2-3-2 configuration, featuring power outlets in steerage. The evening flight are in an Airbus 319 with no power in steerage. (Air Canada proves once again that the masses are powerless.) These are old A319’s and they tend to suffer from very poor on-time performance. The 767’s may be more reliable than the 319’s. Note that this part of Air Canada’s strategy as they deliberately allocate old planes to the Rouge routes. It’s a fairly interesting way to make you care about reliability in the price point. My morning flight was delayed by 30 minutes because there was not enough towing equipment to drag the aircraft out of the hanger. An evening flight turned into a red eye the subsequent Friday as it was delayed by 2.5 hours because of excessive grease coming out of the APU. The evening flight averaged a 40 minute delay in early January, almost as though it was late by design. The seats are bad. They’re hard. If the person ahead of you reclines, you’re going to have a hard time working on a laptop. It’s fairly hard to work on these flights from the rear in general. Entrepreneurs could consider rescuing five hours of productivity by upgrading to premium economy. The airport is hot and high. The main flightpath from the north will take you over Polanco, then just south of the historic centre of downtown, and a stadium before screaming onto the runway. It’s a lot of fun. Customs operate were efficient and friendly. Plan for an hour. My experience of twenty minutes was likely an outlier. I took a taxi. Because I was arriving on a Saturday afternoon, I didn’t experience legendary traffic on the highway. If you are arriving between 1 and 3 in the morning from the evening flight, the highways are clear. If you have luggage, I’d advise taking a taxi. The subway system involves a lot of stairs and Line 7 is deep. It’s five pesos per trip. Buy the tickets from the ticket window. The plastic variants will only hold a maximum of 120 pesos. If you are staying for less than two weeks, just buy the paper tickets. The paper tickets are consumed by the entry machines. The paper does not pop up on the other side for you to hold as a Proof Of Purchase. The metro does not operate on a POP system. All the lines, where they intersect, are connected by pathways. That said, many of the connections are not relatively short like Yonge-Bloor, but are more like Spadina, connected by longer corridors. It’s still convenient and it evades the traffic up above. Polanco Station is on Line 7. It’s two stations to Line 9, which is connective line with few stations. Line 9 feels like it screams through the city compared to the more local lines. From Line 9 you can get to nearly any other north-south line in the system (Line B is the exception). The stations are clean. And quieter than Toronto or New York because the trains run on rubber tires. Unlike Montreal, the tires perform well because it’s warm. Service was an order of magnitude more reliable than Toronto. More people understand English outside of tourist areas in Mexico City than Barcelona, Buenos Aires, and Lima. Learning 40 core Spanish verbs and 60 core nouns is sufficient for more visitors. Sometimes people won’t speak the few English words they may know for their own reasons – so speaking a couple lines of poorly constructed Spanish is enough to erode those reasons. Canadian anglophones speak Spanish with an accent that sounds weird, and perhaps, intolerable. It’s as though the English are spitting the words instead of singing them. Mexico City is globalized and hooked up the International financial system. Credit cards are welcomed in most places. There are loads of bank machines that appear to have money in them. There are Scotiabank ATM’s in many places. This isn’t a hard financial environment. You should still bring pesos for the metro, museums, street food, street markets, and smaller restaurants. The Wild Oscar is a boutique hotel in the centre of Polanco, two blocks south of the Polanco subway, two blocks north of a massive park, and a thirty minute walk from major shopping and museums in two directions. I hired the hotel to recharge my batteries. And it did. There’s a comfortable lounge area, lobby, and outdoor patio, connected by +90mbs WIFI. It’s a great place to work and not have meetings. It’s also a good place to have meetings if you want to have meetings. There’s a meeting room in the back that could easily seat 30 people in theatre seating and 20 in roundtable format. It struck me a good hotel to summit without anybody else knowing about it. The gym has an elliptical, free weights ranging from 2 to 50 pounds, two treadmills and a sitting bike. The equipment works well. The altitude is a factor though, and Torontonians should expect a 10% decrease in effectiveness their second night. I would advise against a strenuous workout during your first day here. My room had around 550 square feet with a kitchenette, a living room with a small table and two chairs and a sofa, and a bedroom. The furniture was comfortable, with a power outlet close enough to sofa to reach. The bed had a power outlet built right into the head of the bed. The sheets were very soft with a fairly high thread count. Breakfast was included with the rate. It is surprisingly good with choices of omelette’s, scrambled eggs, pancakes, poached eggs and several mexican variants. The service is attentive, efficient, and warm. The wait staff is exceptionally nice. The doorman always smiled and greeted me, even while I butchered the language. Daniel and Alejandra were very helpful in marking up map for me on the first day, and genuinely smiled whenever I came and left. The hotel attracts a lot of people from media and tech, mostly from the LA and San Antonio markets. Mexico City is a good city to export inflation. More on that below. Polanco is flanked by large chain hotels on either side. If you like a warmer kind of a stay, especially for tech business, I’d recommend staying at The Wild Oscar. January means it is room temperature outside wth low humidity. Daytime highs were between 21 and 24 consistently. Some days were blue skies and sunny, other days were partly cloudy and overcast. The locals find it cold. I saw people wearing coats and some with tuques. If you can’t wear a coat because you’ve acclimatized to Toronto weather, or really can’t because you’re from the prairies and you’re sweating, then you will not fit in. They can tell that you’re a tourist because you aren’t bundled up. The smog will be noticeable to those who do not live in Toronto, Montreal, or Vancouver. It isn’t Toronto in the 2000s level smog though. It isn’t legendarily bad. The air is breathable. 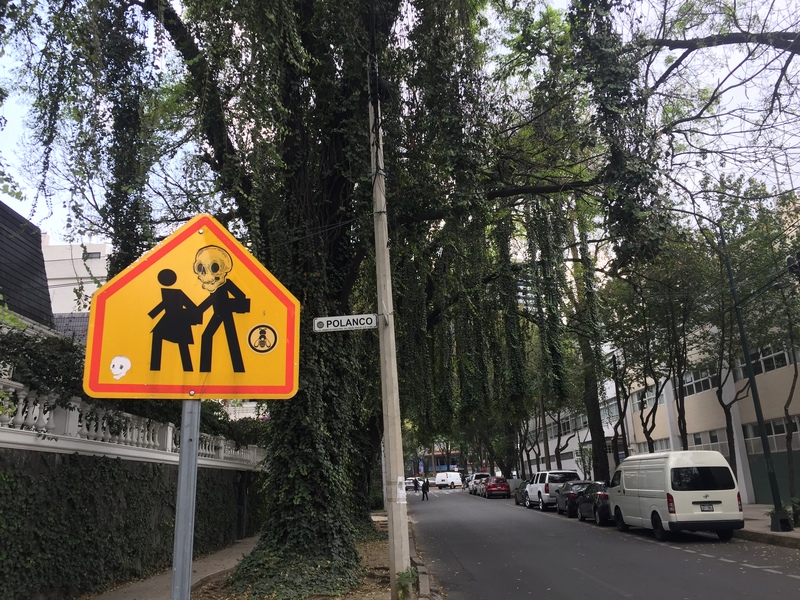 If Toronto’s motto is Do Whatever You Want, Just Do NOT Get In My Way, then Mexico City’s motto is Do NOT Tell Me What To Do. Over 13 days I walked 184 kilometres through many neighbourhoods. If you plan to do any walking, you should be aware of the traffic norms. Signals, stop signs, and traffic lights are suggestions. When crossing any intersection you have to really stop and check. A walk sign does not necessarily mean that it’s safe to walk. A walk sign merely suggests that perhaps this would be the safer time to attempt a crossing. Pedestrians, for their part, also appear to treat the lights as suggestions, and tend to walk during breaks in traffic. Neighbourhoods are starkly divided by major road barriers. The city has built pedestrian overpasses to help pedestrians get from one neighbourhood to another. You can predict the location of such an overpass by locating the centre point of a neighbourhood and walking towards the highway. The neighbourhood progressively becomes more residential away from its core. The poorest buildings and areas are along the highway. This creates the sense of Mexico City, from the view of a passenger in a car speeding along the highway, of a very poor population. That isn’t totally the case. The overpasses are an afterthought and they are not integrated into the core neighbourhood plans. There isn’t any commercial density leading to an overpass, nor are there safe ways for pedestrians to cross the road on the other side as they meld into highway offramps. You just sort of look for a break in traffic and run across. 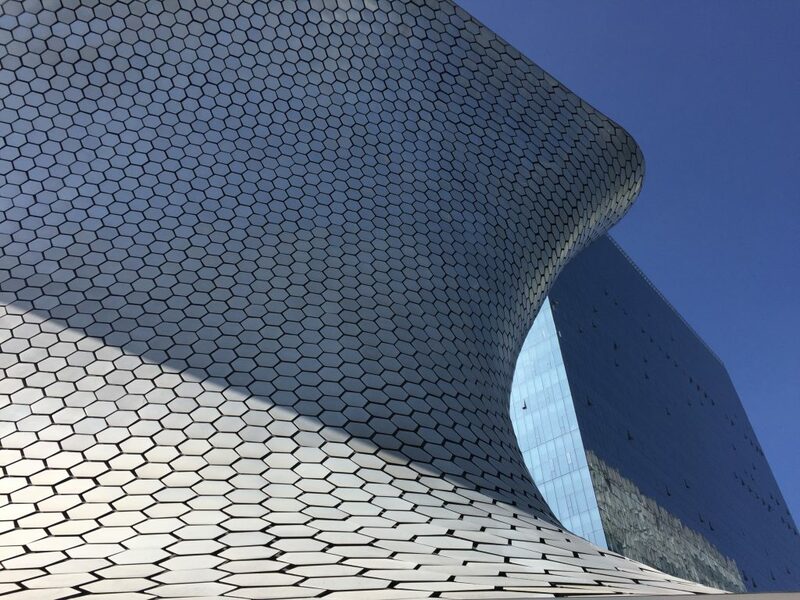 The National Museum of Art, The National Anthropology Museum, The Museum of Contemporary Art, The Modern Art Museum, The National History Museum, The Pyramid of the Sun, and especially the Museum Soumaya are excellent destinations worthy of your attention. 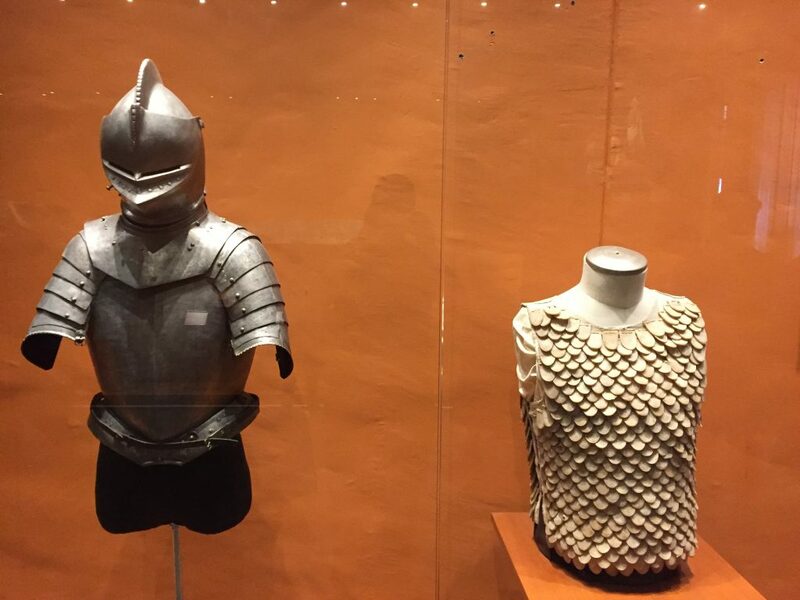 I had the experience of starting at the beginning, with the Anthropological museum, then The National Museum of Art (MUNAL) just outside the Bellas Artes station, and then the modern and contemporary art museums. I’d recommend doing the Anthropological museum before the pyramid of the sun. I did much of my best writing from the Library of Vasconcelos. This space filled me with pure joy. The library is located in Guerrero. I walked to it from Guerrero station and felt safe. You can get there by transferring to Line B to Buenavista, and get there without walking outside in the sun for too long. It’s a fantastic place to write from. 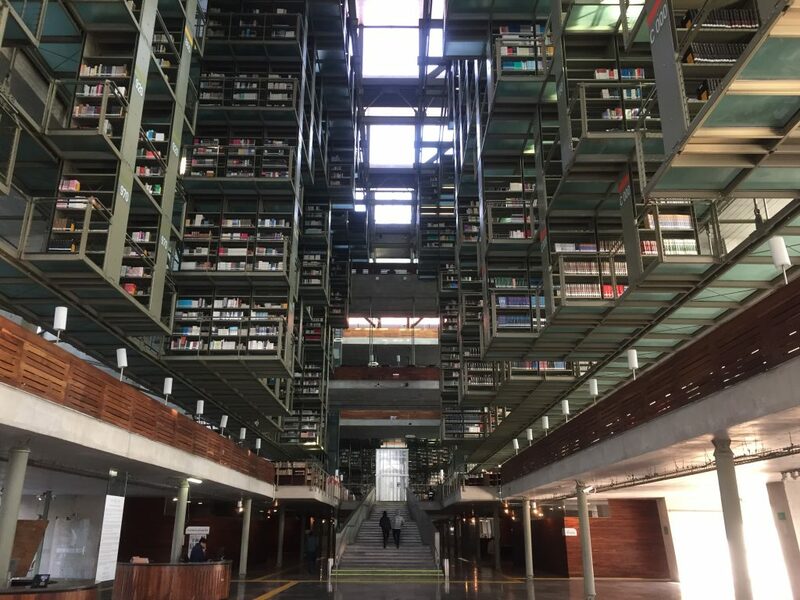 It’s superior to the Biblioteca de Mexico, which is closer Polanco and major subway lines, but not nearly as peaceful or beautiful. It’s just a nicer environment. I thought a lot about how leaders design stories to solidify their hierarchy. 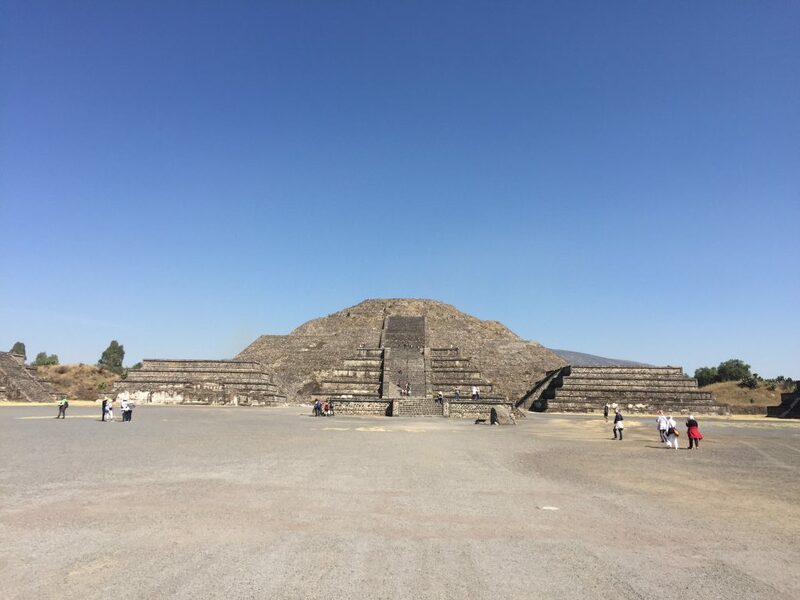 It struck me how the Teotihuacan developed a whole bunch of stories about obsidian, the sun, and the moon to justify…well, itself, its monopoly, and its use of violence. When the priests couldn’t deliver on the stories they were telling, their society was burned with fire. Their hierarchy collapsed into a network and those left behind came to tell the story that Gods, not people, built the structures. Most of the earliest artifacts the Teotihuacan made were simple. I spotted some Gulf Coast, some Olmec influence, on some of those early artifacts. It started off as a town of 5000 people. Then they boomed. Flourished. Traded. Something happened to disprove their story, and they fell. Parts of their influence persisted in other civilizations. Because I came at it with fresh eyes, I was able to see one network sweep in from the north, or the east, or the south – build up a powerful hierarchy, thrive, decline, and become integrated into something else. Wave after wave, multiple people’s, each contributing its own layer, its own axis of beliefs, to how subsequent hierarchies came about. Leaders assembled stories almost like its elements were made of lego. So when the Spanish showed up, with a whole bunch of stories about Jesus and The Virgin, they got incorporated into the culture. Iron encountered cotton. And iron got incorporated into cotton. The Spanish desired a pure religious conversion. The people incorporated the stories the same way they had for thousands of years. 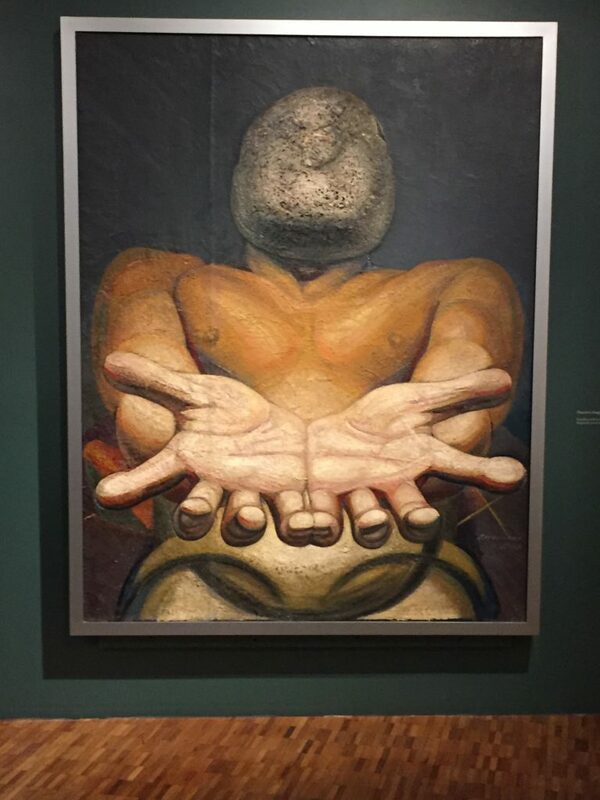 When you go see MUNAL, you’ll see an art movement that kicked off in the late 1700’s that tried to snuff out all the mesoamerican influences from art. I did not enjoy how stifled those paintings looked. They’re technically pretty. It’s just forced. And not true. Then a revolution happened. And then another. Then another. And today you can see art that’s liberal, republican, catholic and mesoamerican. The Zoo was not enjoyable. The Zoo is intended for children to learn more about nature and to value conservation. It’s a free, public utility, for Mexico Cities’ kids and families. We saw a lot of depressed animals in cages. The Orangutang broke my heart. The habitats had a lot of concrete to them. It’s a step up from Victorian era iron wrought iron cages to be sure. But these are very small habitats. 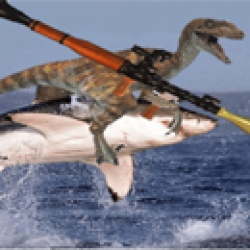 The staff try to incorporate multiple animals where they can. The capybara exhibit has quite a few animals getting along. I can tell the staff cares and does what they can with the hand they’re dealt. It would cost around 500 million dollars CAD to upgrade the whole facility, to consolidate several habitats and reduce the number of animals. It would be better for the zoo, the animals, and the children if the animals appeared happier. It’s a rapidly developing country so there are severe constraints. I’d advise against checking it out. By 2060, 167 million people will live in Mexico. The country has figured out the geography problem that plagued it from the beginning. The people know how to hustle. It has all the makings of a very solid middle power, and their history has solid overlapping elements to be a natural Canadian ally. I saw evidence of successive waves of people trying to get away from the core problems in Mexico City. The entire community of Santa Fe just has a screw you, we’ll build our own society over here, kind of vibe to it. I see Liberty Village level density going in around West Polanco, and like Liberty Village, there’s none of the public transit infrastructure. The design pattern of I’ll experience the world through my car and then complain when the highways fill up, is not a great one. It isn’t sustainable. I’m very excited for what Mexico is and what it is becoming. I hired Mexico City for a specific job. And it exceeded expectations. The weather, food, museums, and people are all pleasant, delicious, interesting, and warm. You have a lot of choices in January. Many Canadians choose Cancun or Cabo. And those are excellent places to recharge for seven days. Mexico City is a great place to come and recharge in January, and January is a great month to experience the city and get a glimpse of real Mexico.